Before we get in to discussing options on how to remove date stamp from Google Search Results, it is important that you decide if your blog or website require a date stamp on its posts or pages. Leaving the time stamps on a news related website is a must. But informational blog such as DigiTap.net might benefit without the time stamp on its posts. Here is an example of a post with the date stamp. Here is the same post without the date stamp. 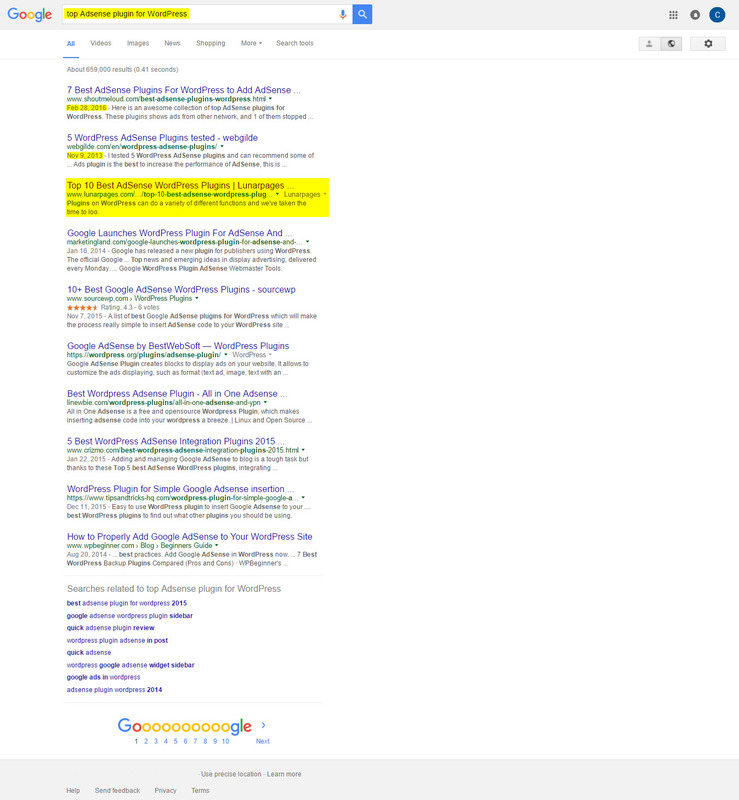 After the last Google Search algorithm update, many of the blogs started resurfacing on Google Search Results. But the time stamps on posts (dates back few years in some cases) have discouraged the readers from clicking on your blog or website. Take a look for yourself. I Googled the term “top Adsense plugin for WordPress“. The first result shows a recent date and second result shows a date from 2013. It is obvious that most readers would click on the first result since it is recently dated. Number 1 position on Google Search Results gets average 35% of the all search traffic while 2nd position gets about 20%. Only 10% of search traffic click on 3rd position. In this case, 2nd position holds an article from 2013 and 3rd position holds an article with no post date. Average reader more likely to click on 3rd position over 2nd position since the 2nd position holds a date from 2013. If the 2nd position did not have a date stamp, it would have benefited with more traffic. The 3rd position is draining all the traffic from 2nd position while benefiting from removing the post date stamp. So it is important that you decide if your blog would indeed benefit from removing date stamp from its posts. Now lets discuss how to remove date stamp from Google Search Results. There are many ways to do this. Below I will describe few methods that have worked for me in the past. This is one of the easiest way to hide post date from Google Search Results. I will also explain how you can hide dates from posts older than specific amount of days. Add the following code to your WordPress single.php file. This should do the trick. Of course you can choose the amount of days as you prefer. Simply replace 180 with your preferred number of days. One of the methods mentioned above should help you remove date stamp from Google Search Results. We recommend that you follow method 3 and use a custom PHP code than an outdated WordPress plugin. If you have any questions or comments, feel free to list them in comments section below.